The Ontario Catholic School Trustees’ Association and the Ontario Public School Boards’ Association along with L’Association des conseils scolaires des ecoles publiques de l’Ontario and L’Association franco-ontarienne des conseils scolaires catholiques – have come together to create a unique new online resource to raise the public’s awareness of the role of school board trustees and the candidates interested in fulfilling this role in all 72 school boards across the province. The unique website allows visitors to easily access information about trustee candidates based on where they live and what school board they support. The 2014 municipal election will be held on October 27, 20124. For more information, please contact Sharon McMillan, Co-ordinator, Communications and Media Relations – (416) 932-9460, ext. 232. September 4th news release from the Ministry of Education announces a $150 million technology and learning fund to support students. School boards will be notified later this fall about their specific technology and learning fund allotment for the 2014-15 academic year. As part of the ongoing Faith in Our Future campaign, OCSTA will once again be hosting a short video contest for students in grades 4 – 12 at Ontario’s publicly funded Catholic schools. The fall 2014 Faith in our Future contest invites all students from grades 4-12 in Ontario’s publicly funded Catholic schools to submit a 2-minute video about the meaning of Advent from the perspective of students, or groups/classes in Catholic schools. Students and staff are encouraged to read the guidelines which are located on the Faith in Our Future website at: http://www.faithinourfuture.ca/student-video/video-contest-rules/. Submission forms can be downloaded from the website at http://www.faithinourfuture.ca/student-video/. More Exposure for All Submissions This Year! Each time these contests are held, the Association is so appreciative of the outstanding effort and creativity that goes into every entry. For that reason we are pleased to announce that this year ALL submissions about Advent that meed video guidelines, will be shared with Catholic schools and organizations across the province throughout the month of December! The videos will be placed on OCSTA’s publicly accessible YouTube Channel so that as many people as possible will be able to benefit from the messages about Advent that will be articulated by Catholic school students participating in this event. OCSTA’s video channel address is http://www.youtube.com/OCSTAVideo1. The winners will be announced at OCSTA’s annual Catholic Trustees’ Professional Development Seminar on January 16, 2015 in Toronto. For more information, please contact Sharon McMillan, Co-ordinator, Communications and Media Relations at (416) 932-9460 / smcmillan [at] ocsta.on.ca. 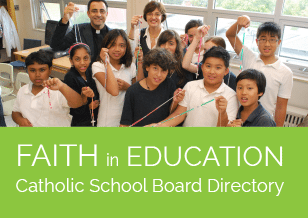 A correction is needed to ensure that your audience has the right information about religious education and exemptions in Catholic schools (Religion Should Be An Elective Course – Aug. 13). The provisions in the Education Act permitting exemption from programs or courses of study in religious education were put in place after 1984, when the province decided to extend public funding to Catholic high schools. The exemption was not intended to apply to all students, but only those students who qualified for exemption. We take seriously our role in contributing to the formation of responsible, well-rounded citizens. Ontario’s Catholic elementary schools are quietly opening their doors to students of all faiths, blurring the lines even more between the Catholic and public systems and raising questions about the roles — and need — for both. Windsor’s Catholic school board became the latest to admit non-Catholics into grade schools in June — discreetly. It warned principals to discuss the new policy “with caution.” Some 82 non-Catholic children already have signed up, good news for a board that has been losing some 500 students a year. “It’s about having choice in education,” said an elated Karen Fyall, a mother in Kingsville, south of Windsor, whose daughter Skylar will start Grade 6 next week at her local Catholic school under the new policy. She had been denied for two years because she’s not Catholic. “I don’t want to knock down public schools, but the one thing that’s missing is that spiritual background, the religious tools that help you manage situations in life,” said Fyall, who had to agree her daughter will take part in all religious teaching, something she welcomes. 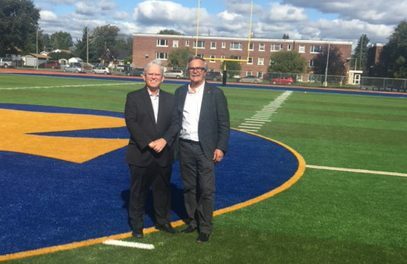 It’s the heart of Ontario’s historic Catholic school system, the subject all elementary students must take but one non-Catholics can opt out of in high school. The religion curriculum marks the difference between Catholic and public schools. But is it Bible study? Morality chats? 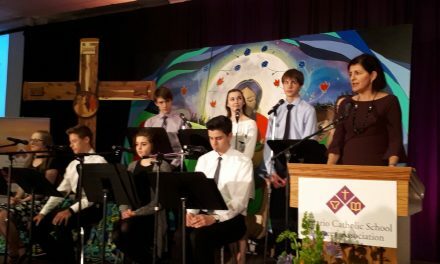 “The running theme throughout all four years of high school is to see how faith connects with your relationships, your community, your role in society,” said Brian O’Sullivan, director of Catholic education for the Ontario Catholic School Trustees’ Association. There is a focus on social justice issues raised by the Vatican as well as Canadian bishops, from labour rights and poverty to human rights and aid work, he said. “It focuses on service to others, but based on biblical stories that add a dimension that public schools don’t have. As an active trustee and voting citizen, Burtnik said there are pros and cons of an uncontested candidate. From the candidate’s vantage point being acclaimed is a sign you are doing your job right, she said. “It leads to a sense of disinterest if you don’t have to go online and research who the best candidate might be,” she said. CBC’s Canada Writes is teaming up with the Canada Council for the Arts and CBC’s Ideas with Paul Kennedy to hold a writing challenge with a $1000 cash prize. The challenge will be open from October 6 to November 3, 2014. Full details of the challenge will be available on September 19 at cbc.ca/canadawrites. 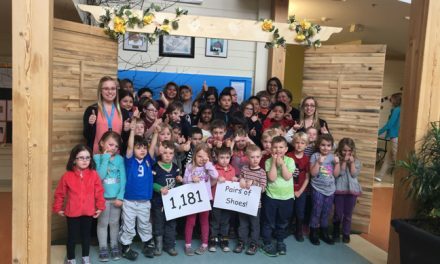 If teachers are interested in participating with their students and need more information, they may contact Jennifer Warren (jennifer.warren@cbc.ca) for more details. 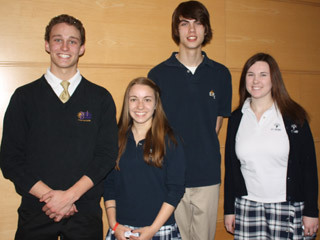 In the summer of 2015, communities across Southern Ontario will be hosting some of the world’s best athletes at the TORONTO 2015 Pan Am/Parapan Am Games – and they would like Catholic school board communities to know that they have many opportunities for those interested in volunteering at this international event. The TORONTO 2015 Games will be the largest international multi-sport event ever held in Canada, with 41 countries and territories and more than 10,000 athletes and officials in 51 different sports. Behind-the-scenes of TORONTO 2015 will be 20,000+ volunteers. Volunteers are considered to be the backbone and the ambassadors for the 2015 Games. If interested, you are encouraged to submit your application here: toronto2015.org/volunteer . Questions about the TORONTO 2015 Games? 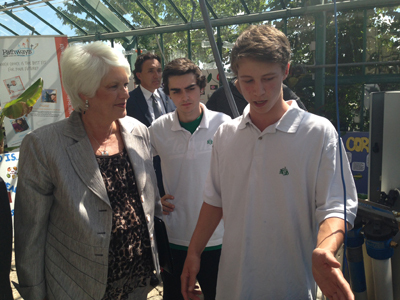 You can also learn more about the Games by visiting TORONTO2015.org. If you have questions about your volunteer application, please contact the TORONTO 2015 Contact Centre. If you’d like to have your Catholic board/school featured in the “Across the Board” section, please contact Sharon McMillan, OCSTA Co-ordinator, Communications and Media Relations at smcmillan[at]ocsta.on.ca.